It’s a brand new day, and this means a new look at the Galaxy S10 and Galaxy S10 Plus before their imminent launch on February 20. This time, it’s popular YouTuber MKBHD who has shared what both these flagships will look like when Samsung officially launches them at its Unpacked event. At a first glance, these phones will look very identical when viewed from the back, but when you start taking a proper look at these devices, there’s more to them, which you’ll soon find out as you read on. The beauty of using minimal bezels on a smartphone is that a manufacturer can afford to increase the screen dimensions diagonally without compromising on the usability of the handset in terms of its sheer size. If you see the video below, MKBHD has shared the sizes of what the Galaxy S10 and Galaxy S10 Plus will look like when compared to the Galaxy S9 and Galaxy Note 9. 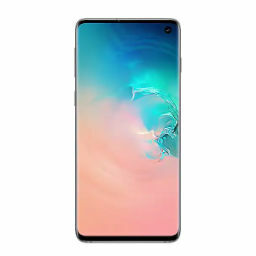 The 6.1-inch Galaxy S10 is negligibly bigger than the Galaxy S9 while the Galaxy S10 Plus is smaller than the Note 9. You’ll also notice that while both the new phones feature a triple camera at the back, the larger phone sports a dual-camera at the front, with a punch-hole form. MKBHD also shares that the triple camera setup at the back will include one standard sensor, one telephoto shooter and one camera with a wide-lens, similar to what LG did with its V40 when the latter was launched last year. Thankfully, Samsung has retained the 3.5mm audio jack at the bottom, next to a Type-C USB port and a single bottom-firing speaker. Also, the in-display fingerprint scanner will be present underneath the glass and not at the back, but according to previous leaks, the cheaper Galaxy S10E will have a physical scanner mounted on its rear side. 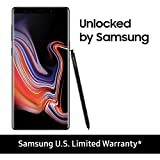 Samsung continues to use its glass and metal class of materials to make these devices and just like their predecessors, they are a fingerprint magnet, with smudges easily present perhaps after a few uses. The earpiece present in the latest mockups looks like a slot at the top of both phones, and Samsung probably chose this design to minimize the bezels as much as possible. Sadly, the disadvantage of owning even one of these phones will be the cost. According to leaked European prices, even the Galaxy S10E isn’t going to be cheap, so customers should expect to fork over a significant amount of money to become the proud owner of any one of these. Well, that’s it for now, and we certainly hope that you’ll join us for our timely coverage of Samsung’s Unpacked event on February 20. The video is at the bottom, so you can check it out right now and let us know what you think down in the comments.